Exclusive! A great option in any season! Crisp hues are knitted together to create a plaid that is as fresh as a spring garden. 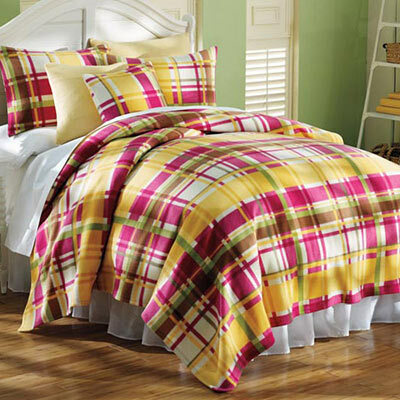 Whisper-weight polyester Fresh Plaid Fleece blankets and accessories make it the perfect blanket for any season. Easy-care and super-soft. Pattern placement may vary slightly. Machine wash. Imported.